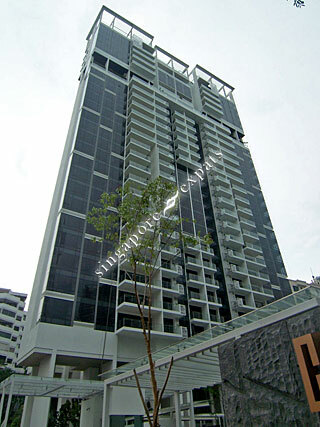 CYAN is located at 6, 8 KENG CHIN ROAD in district 10 (Bukit Timah, Grange, Holland) of Singapore. CYAN is a Freehold Condo development consisting of 278 units. CYAN is completed / TOP in 2014 (estimated), developed by KENTISH COURT PTE LTD.
Educational institutions like CHINESE INTERNATIONAL SCHOOL, SAN YU ADVENTIST SCHOOL, ST JOSEPH INSTITUTIONAL INTERNATIONAL, SINGAPORE CHINESE GIRLS' PRIMARY SCHOOL, ANGLO-CHINESE SCHOOL (PRIMARY) and ANGLO-CHINESE SCHOOL (JUNIOR) are near to CYAN. CYAN is accessible via nearby STEVENS, NEWTON and ORCHARD MRT Stations. Central location with MRT and bus stop nearby. Supermarkets, restaurants and fast food restaurants are within walking distance! Condo facilities are well maintained. Quiet, peaceful environment. Very near to botanic garden and Raffles town club. Quiet and cozy with spacious swimming pool. Good location, near to town and botanic garden. New MRT station, Stevens station is within walking distance. Beautiful resort in the city. Luxurious living. Extensive and pampering facilities. Premier project! Beautiful estate in fantastic location! Beautiful estate and convinient to boot!